The true story of the most notorious husband in history – and the many wives he brought to an unlucky fate. 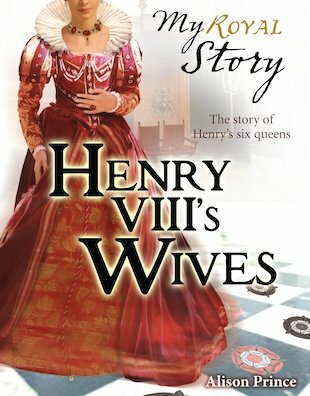 Spanning a period of 20 years, this gripping My Royal Story special explores the destinies of all six of Henry’s wives, telling their stories from the perspective of two young courtiers serving at the royal palaces. Brilliantly bringing to life the court of King Henry VIII, it is a riveting story of love, treachery and power set in Tudor times. Loved this book, couldn’t believe somebody can be as cruel as Henry. This book is good I got it yesterday and I’m on page 67! I only just got this book from my school library and I am so excited to read no one tell me anything about it. Alison Prince won the Guardian Children’s Fiction Prize in 1995 for The Sherwood Hero and was also awarded the Scottish Arts Council prize for Oranges and Murder.